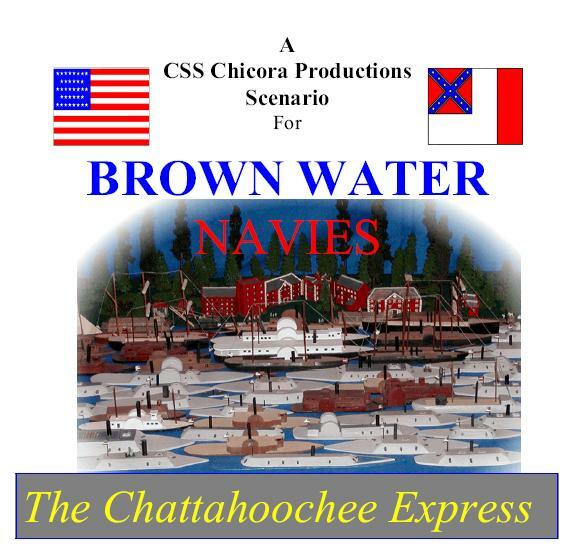 The Chattahoochee Express, a Gaming Scenario for the War for Southern Independence. The History of the Almost Battle. 20 April 1865. Mouth of the Apalachicola River on the Gulf coast of Florida. Smoke is sighted inland. Battle rattles scream on two northern blockading vessels as men rush to their battle stations. The long dreaded event is happening. The CSS Muscogee is coming out to play. There’s no panic. The ships were stationed at this river for this reason. While maintaining Uncle Abe’s blockade was important meeting the iron dragon before it got loose was the real reason two blockaders were always present.